The Zerella Fresh family is hard-working, focused business, dedicated to success. We understand that the key to our goals, both in the short and long term, is our people. Walk around the corridors, floors and paddocks at Zerella Fresh, you’ll meet all sorts of people who have built significant careers in our business. Over the years, our long term employees have had the opportunity to grow with the company. Many have been with us for over twenty or thirty years, and have seen a great deal of change as the company has adapted to changing market conditions and challenges. 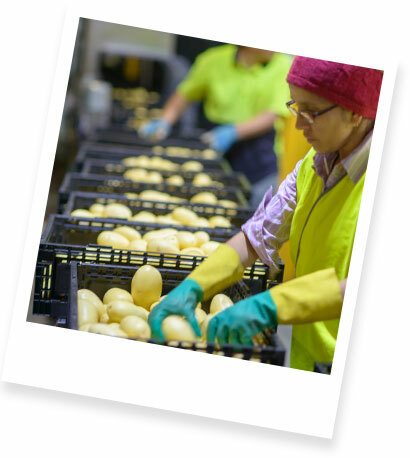 There are multiple career paths at Zerella Fresh, with occupations including agronomy, quality, safety, accounting, administration, farming, truck driving, forklift driving, sales, marketing, management, supervision, engineering, maintenance and operations. The current job vacancies at Zerella Fresh are listed below, please use the Contact Form to apply.